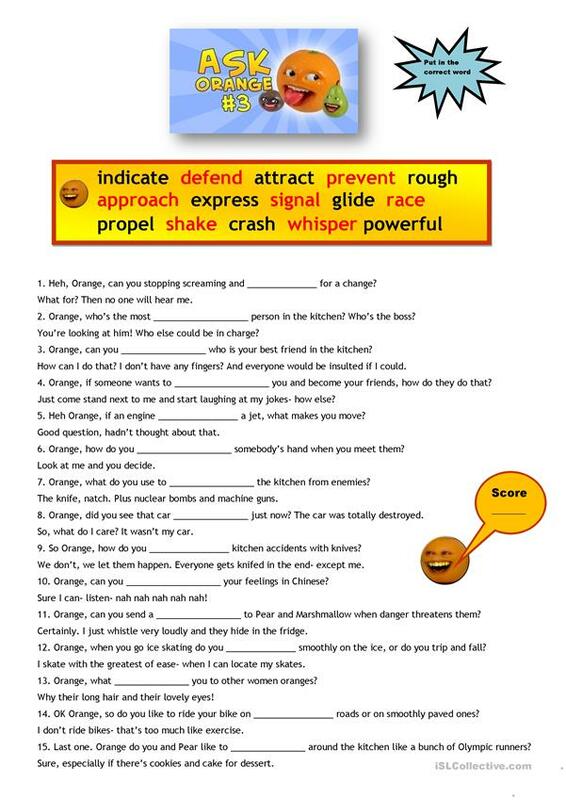 This is a vocabulary test for the Oxford Series Discover 5- Units 7 and 8 . There are 3 pages of exercises: 1 page of word parts and 2 vocabulary pages. 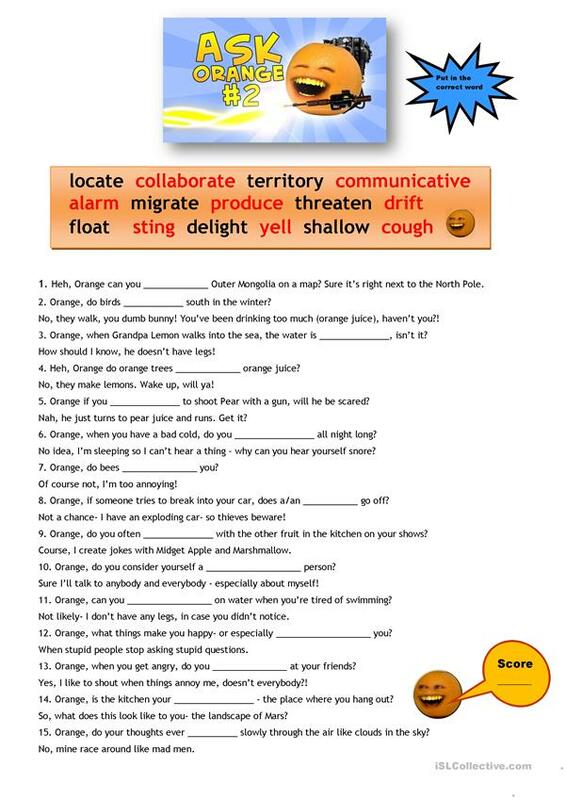 Included is a 4th page with a list of the vocabulary. 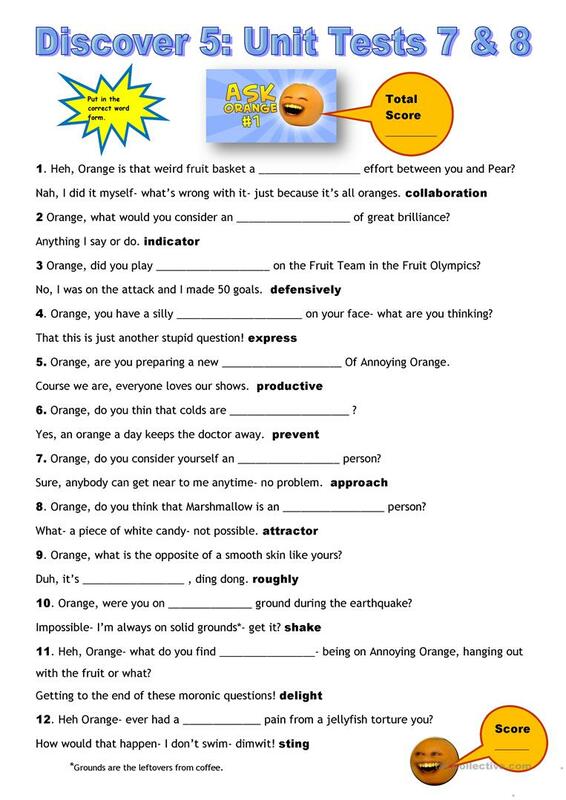 There is an Annoying Orange theme where Orange is asked a multitude of questions. The present downloadable teaching material is meant for high school students, elementary school students and students with special educational needs, learning difficulties, e.g. dyslexia at Pre-intermediate (A2) level. It is aimed at revising Present simple tense in English, and is a valuable material for developing your pupils' Reading skills. It focuses on the topic and words of Ability, Actions, Celebrities (stars, famous people) and Humor.